Perhaps you’ve noticed the lob and the bob are taking the world, or at least our social media feeds, by storm. It’s a really fun time to make a big hair change and you want to make sure it’s done right. 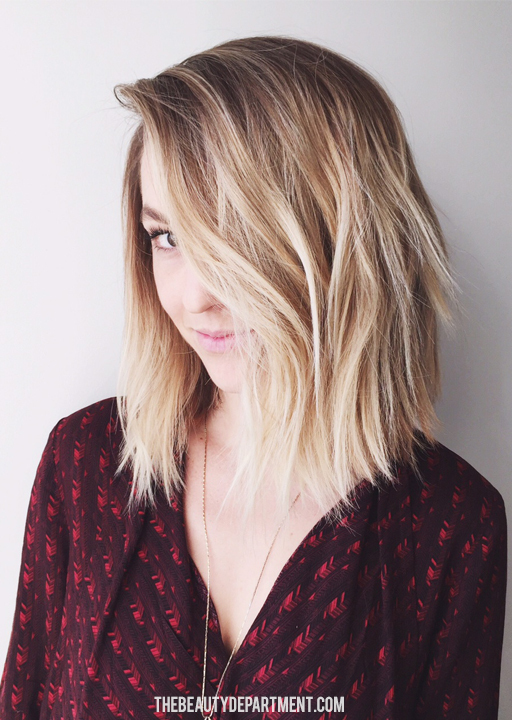 Today we’re talking all things lob and later this week we’ll cover the bob. I thought it would be fun to go into detail about these cuts here because it’s hard to answer all your questions on Instagram and Twitter. Here are the questions I get the most about lobs, specifically, and my best answers for each. If there is a general question that could be good for the group that you don’t think I covered, add it to the comment section below and I will add it in an update within the week! 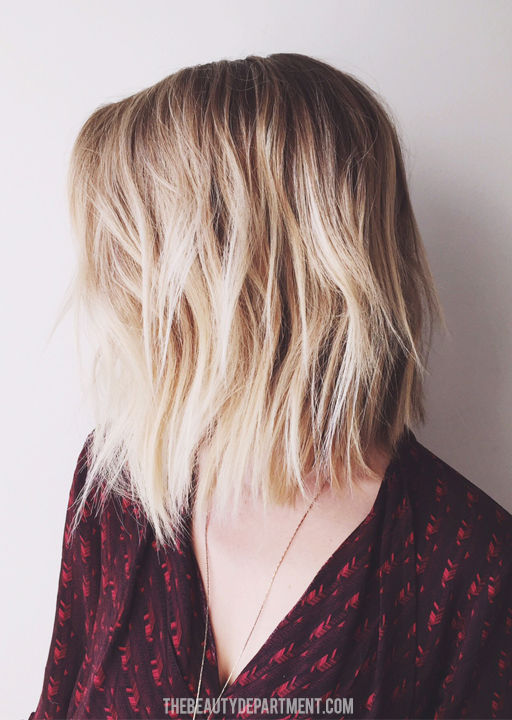 Can I wear a lob? Almost anyone can wear a lob and your hairstylist will let you know if you shouldn’t. It actually has nothing to do with face shape. I have cut this on pretty much every face shape out there. I would say the only people I would avoid cutting a lob on would be people with extremely thick or thin hair. Not just regular thick or thin, we’re talking a mega mane or baby, baby, BABY fine hair. Cutting this on extremely thick hair could take so much work and thinning out to make it look similar to this that it may be really hard to style on your own and it simply may not ever look like this after leaving the salon. If you have incredibly thick hair, it’s better to stay a little longer with your length and then get this kind of texture! If you’re the girl with super-duper baby fine hair, try a bob instead. Something that falls between your chin and your shoulders. Super fine thin hair at this length can look stringy when texturized like this, even if the bottom is cut blunt and texture is added to the top layer. A few hours into your day, the hair might separate and just look weak. 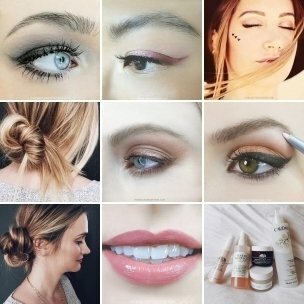 How do I make sure my hairstylist understands what I want? Bring photos. Bring this photo. Gone are the days of ego-driven maniac hairstylist who take offense to pictures. We live in a Pinterest-reference world, do we not? Make a small folder of images to show your hairstylist and let them piece it together. I look at my client’s collection of photos and can gather what they like and dislike through one short convo about image. Can I have a lob with my texture? Yes. Your hairstylist will know what is best suited for your personal texture. But rest assured, this length looks great on the straightest hair, waviest hair and the curliest hair. What styling tools do I need? I don’t let my clients leave without either THIS or THIS. 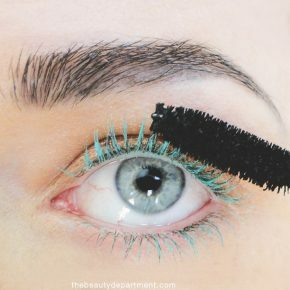 The first one is definitely and investment but gives you that “flat iron wave” look without having to perfect the flat iron wave technique. The second one is a very affordable alternative and a personal favorite of mine. What products do I need? Product-wise I always recommend THIS or THIS mousse paired with THIS or THIS pomade. There are plenty of great alternatives to both but you should start off with mousse on wet hair and finish with some sort of great, lightweight, water based pomade. How often do I need to get it cut? 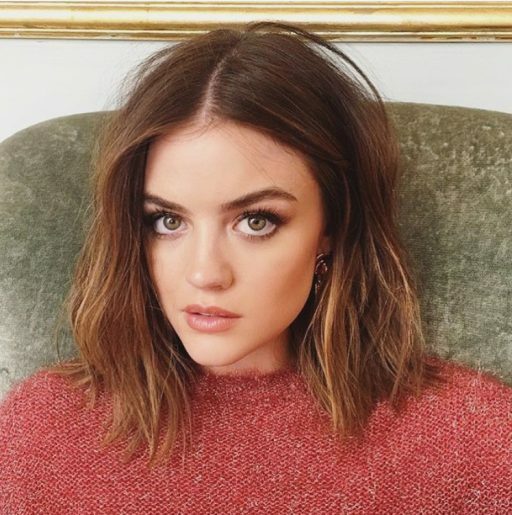 Lobs are different than a bob because a bob can grow for a while and turn into a lob, whereas the lob can start to flip out at the bottom in an undesirable way as it grows out, so you’ll need to keep it as close to collar bone length as possible. I would say 6 weeks is good on average. 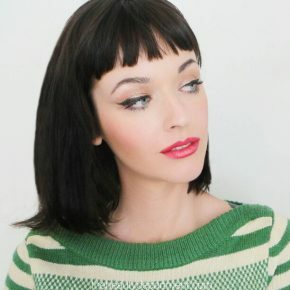 Can I do it with bangs? You certainly can, you just want to make sure it doesn’t start to look like a wig (unless that’s your jam). Hair covering the forehead and falling on the sides of your face can overwhelm and hide your gorgeous mug and nobody wants that. Keep the bangs lights and sideswept if possible. Make sure they go well with the texture of this cut. Again, if there’s a question you think I didn’t cover, let me know below and I do an update! Good luck if you decide to make a big change, pretty peeps!